With her knack for business and dedication to fulfilling big orders, it's easy to forget that Aspen is still, after all, a full-time freshman at Episcopal Collegiate in Little Rock. LITTLE ROCK, Ark. (KTHV) - Not many people can say they’ve cooked for the President of the United States before the age of 15 but Aspen Smith has done just that. After winning a cooking competition, she made her way to Washington with her winning recipe. While she baked Michelle and Barack Obama an almond baked catfish, her true passion is dessert. “I want to do baking shows on Food Network so hopefully someday I will get to,” she said. Her big dream isn't too far off. She has been a finalist to be a featured young chef on multiple national cooking shows. It was those experiences that gave her the confidence to launch her very own business at age 14: Milk and Honey Patisserie. Her company specializes in incorporating detailed designs with a fun flair. So far, it’s been a success. Her young business is already booming. 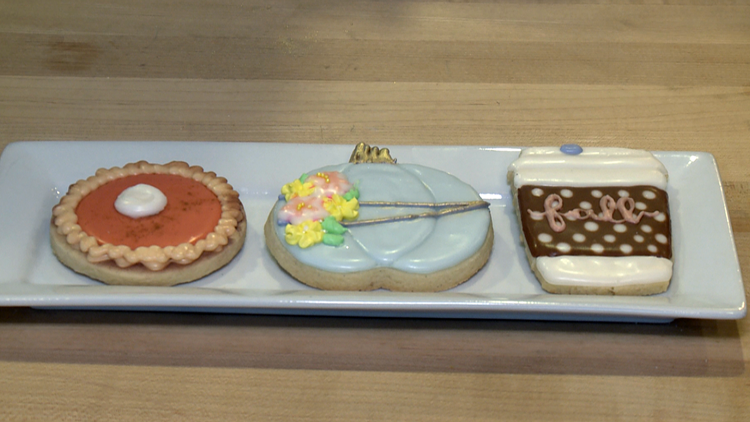 “I mainly bake sugar cookies right now, but I get a lot of orders for big parties and events,” said Smith. Aspen works one-on-one with customers to make unique, original designs. With her knack for business and dedication to fulfilling big orders, it’s easy to forget that Aspen is still, after all, a full-time freshman at Episcopal Collegiate in Little Rock. “Trying to balance this with schoolwork is very stressful right now so I try to reserve the weekend for schoolwork and the weekends for all the baking,” she said. Despite the time management challenges, this next generation cook is leaning in anyways. She’s not giving up on making her dreams a reality. She’s also offering advice to other young cooks.